Tell us a little more about yourself. What was the source of inspiration for the work youdo? How did you get to where you are today? 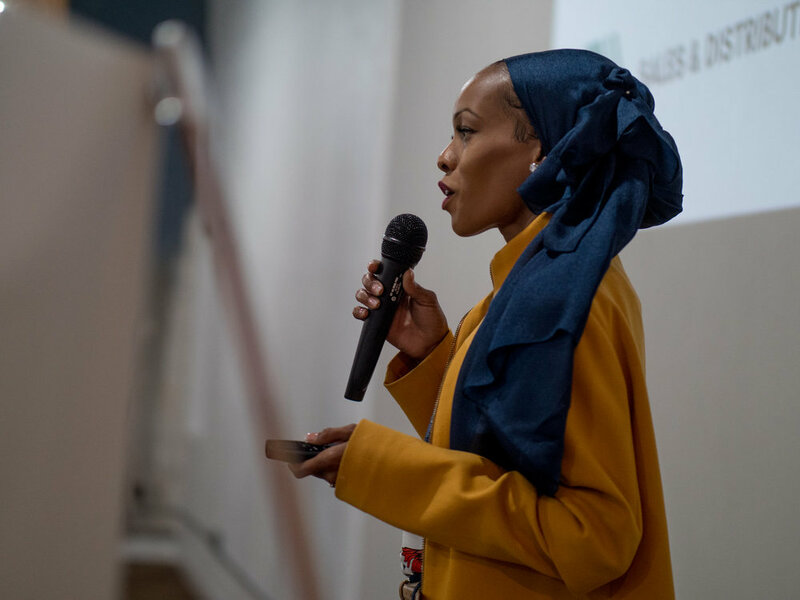 Growing up as a Black-American Muslim, I was always searching to find a way to liberate my soul’s expression; the unique identity that allowed me to operate from the core of my humanity and cultural excellence as a Black-American. I saw this demonstrated through my parents who were both entrepreneurs and prominent community organizers in San Diego. As far as I can remember, I’ve always liked to connect the dots which is why I received my dual degree in Sales and Marketing and Supply Chain Management. However, when my father passed away in 2011, I began to truly search for my purpose. I would often ask the Creator of the Universe to guide me to a path that would liberate my human and spiritual excellence. It wasn’t too long after my father passed away that I received my answer through an agricultural research project given to me by my economics professor. This became an opportunity to have faith and trust my aspirations to find a solution for underserved communities through agriculture. While conducting research, I noticed that Tuskegee residents had to travel 30 miles to a nearby city if we wanted to access to high quality produce and food. This alarmed me because we had several commercial farms within the same county as our school yet none of the grocery stores sold the best quality food. Although I had intentions on working for corporate America, I knew this project was a fusion between my two disciplines so I founded our company with the intention to build on the model I designed in school - a regional food hub. I immersed myself within the local food movement by working alongside multiple organizers and groups to build and sustain community gardens throughout East Atlanta. 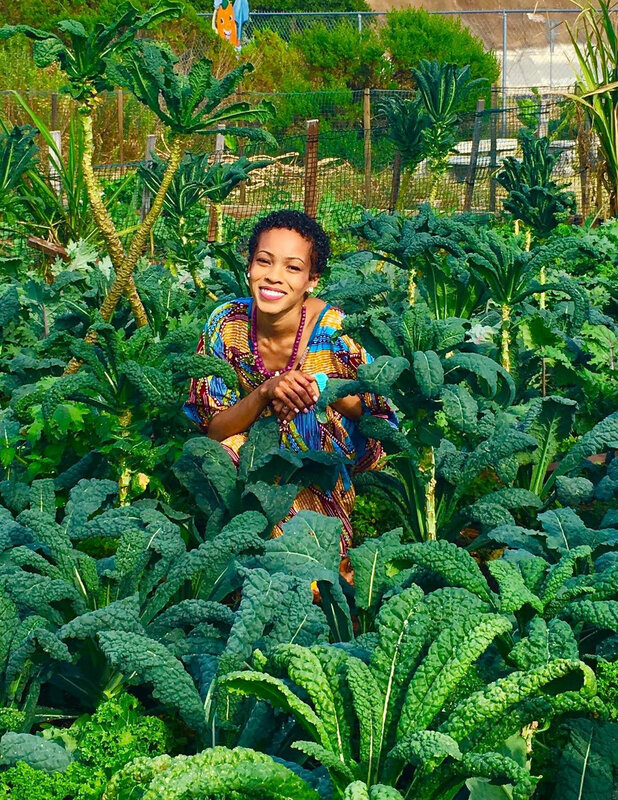 When I look back on our beginning I can truly say that Carver’s Produce was birthed from a soul that was searching to liberate not only her excellence but the excellence within the communities and people we would serve. The idea for Carver’s Produce came from the desire to continue a legacy that would decrease economic disparities that exist due to limited fresh food access. As I delved deeper into research, I noticed how G.W. Carver revolutionized southern agriculture through crop rotation and by creating multiple products from surplus produce grown by rural farmers. He not only created a solution, he assisted with product sales and distribution through his mobile produce cart, The Jesup Agricultural Wagon. Carver’s Produce Food Hub provides a central space for local growers to store produce, process value added products, and secure last mile distribution to large buyers within food deserts; we’re essentially the Jesup Wagon 2.0. We are the first minority-women owned food distributor in Atlanta with an all-female truck driving team, creating diversity through our workforce and impact demographic is imperative. Carver’s Produce is transforming how fresh food and natural products are accessed in food deserts through our produce box deliveries and food preparation services. Carver’s Produce is committed to impacting our future change makers through what they consume at school, home, and at their local corner store. We understand providing access to healthy foods curb growing rates of obesity and diet related diseases. Atlanta’s biggest challenge is creating equity for those communities who are often marginalized due to their socio-economic condition. Many residents who reside in Atlanta’s food deserts will adopt diet-related diseases due to the lack of transportation, health, and food accessibility. For many families buying an affordable meal or food products come at a hefty cost – their health. More than 1 in every 7 Atlanta kids live in food insecure household, which means if the child is insecure so are the adults of the home. However, as one of the fastest growing metropolitan cities in the South, Atlanta is in a unique position to drive change through public policy. We have the city’s first Urban Agriculture Director. His primary concern is working with community organizers to alleviate issues that prohibit urban growers and food entrepreneurs from collectively impacting our state’s farm economy. This is a start to transforming accessibility for all. How has the Center for Civic Innovation supported you in your work? Before entering CCI’s Food Innovation Fellowship, I had a business model but after graduating - I left with a blueprint. Often when you’re doing social impact work you tend to keep your head and ears close to the ground with the workers. The Center for Civic Innovation has increased my aptitude for social impact by keeping me informed on how public policy shapes the future of economic development in our city and how we the changemakers can MAKE IT HAPPEN. Since joining the CCI family, our impact is receiving attention and financial support from outside organizations and agencies and it’s all due to our business training and development at CCI. “Where there is no vision, there is no hope.” – George Washington Carver. Millennial entrepreneurs are constantly breaking down barriers while wanting to put our wealth to work for the greater good. According to Morgan Stanley’s Institute for Sustainable Investing, millennials are driving the nearly $9 trillion sustainable investing market. This means we hold the keys to a sustainable and more equitable future not only in Atlanta but throughout the world. As we move into electing a new mayor, my advice to new entrepreneurs would be to learn your market niche so that you can effectively impact your industry and their impact on underserved communities. We would like to say a huge thank you to Yasmeen for sharing her passion and story with us. We're so inspired by you, Yasmeen! If you want to read more of Yasmeen's story, check out her story in Local Food News by the Food Well Alliance.